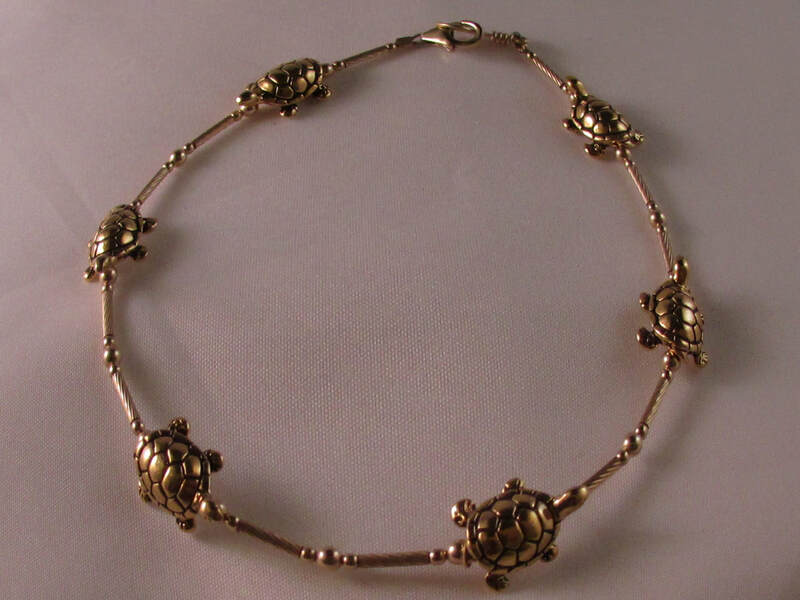 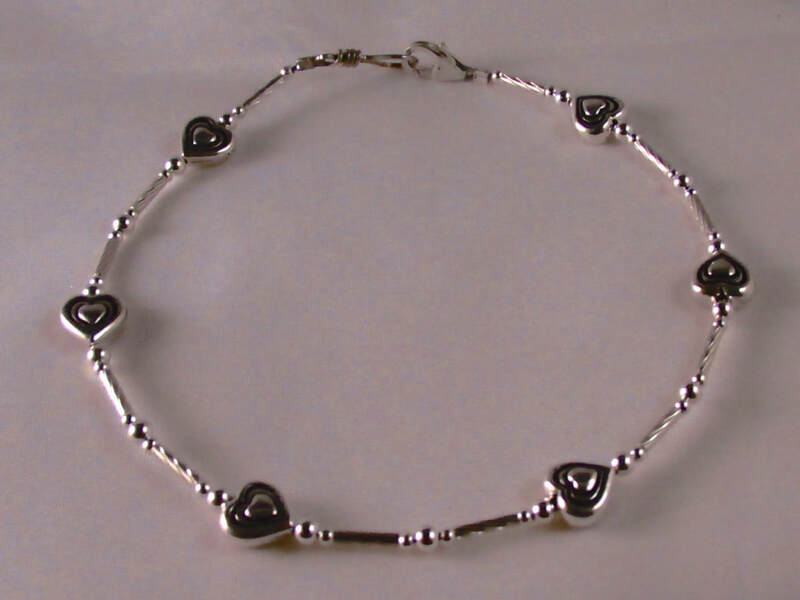 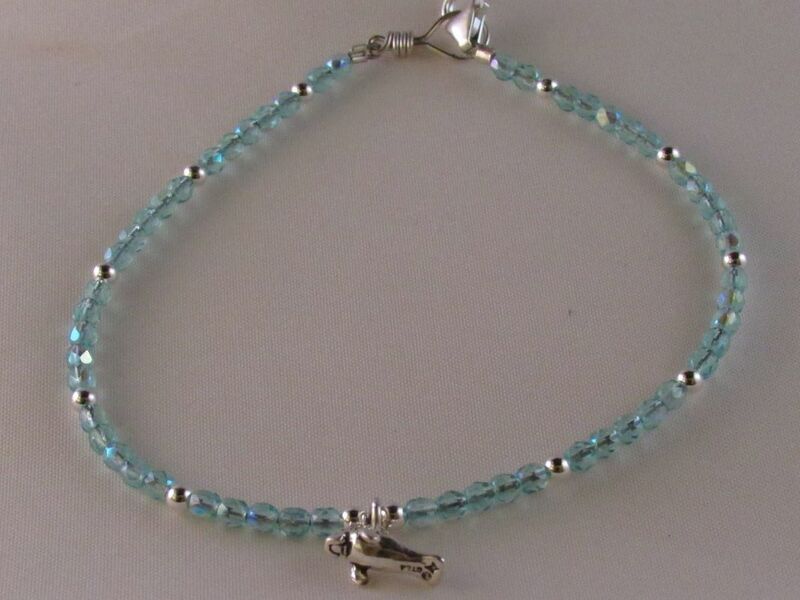 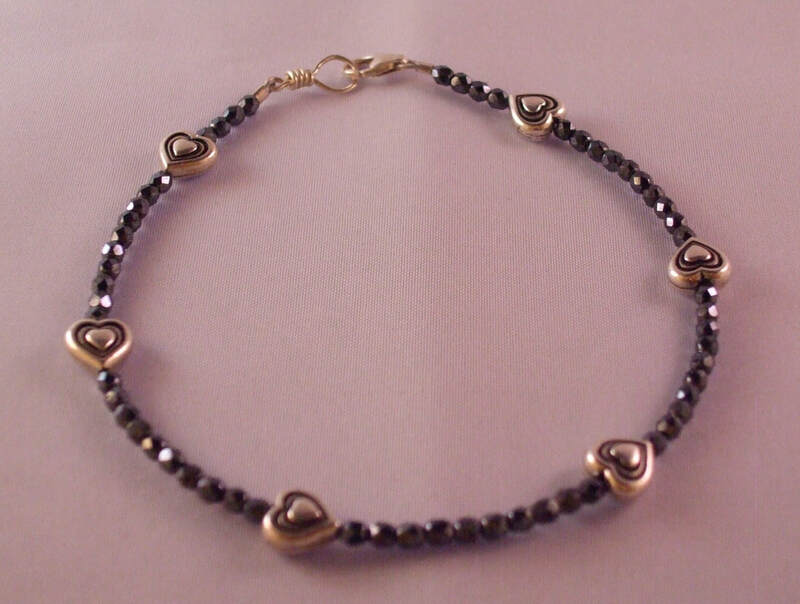 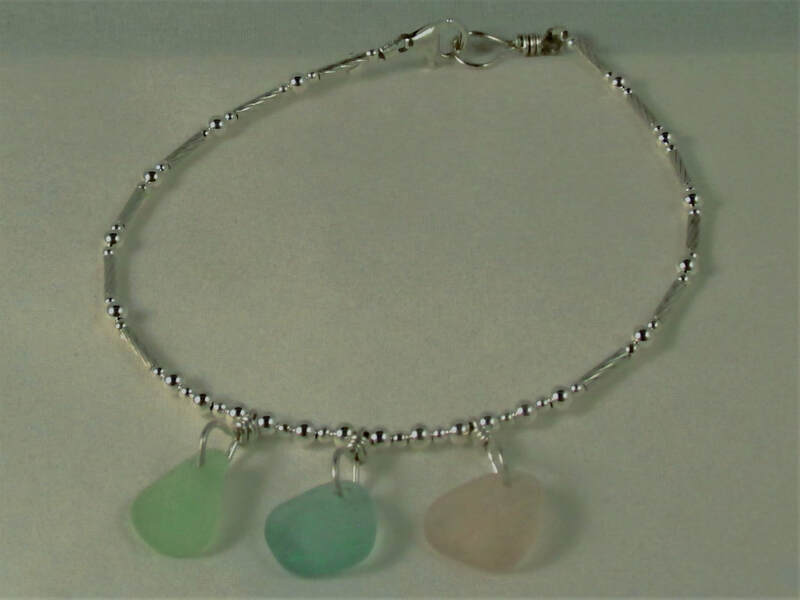 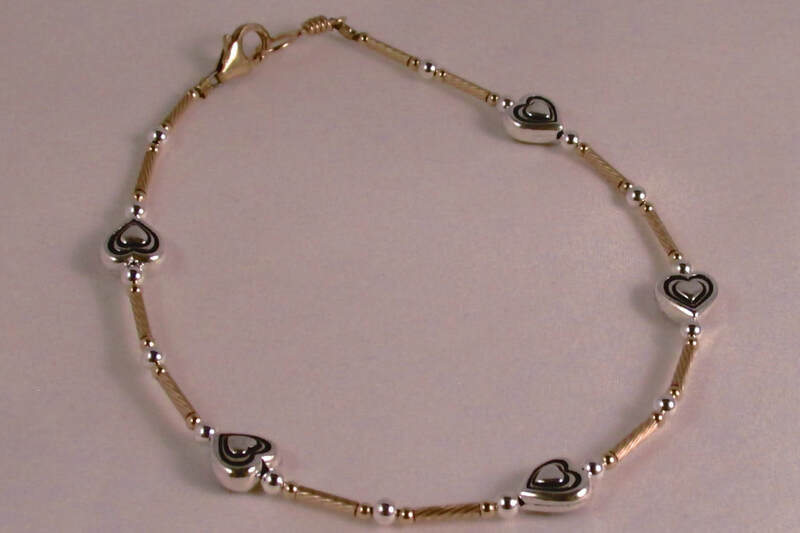 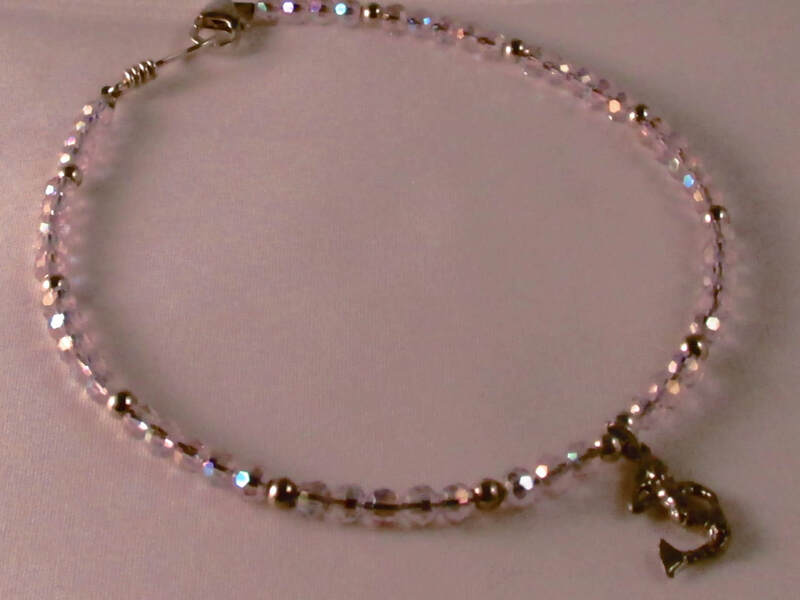 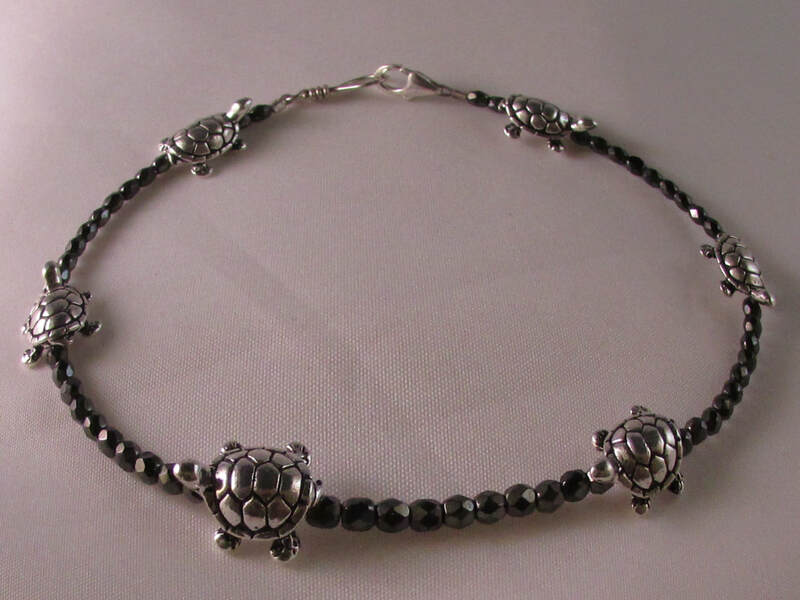 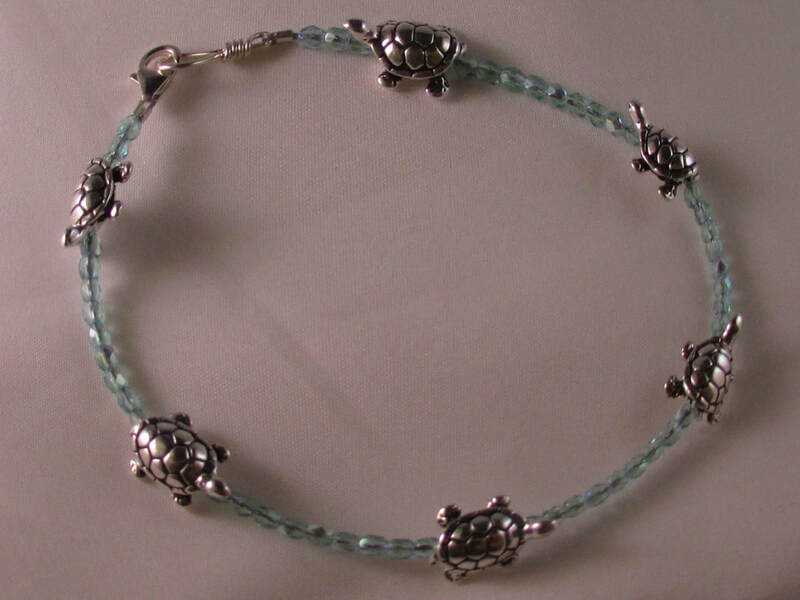 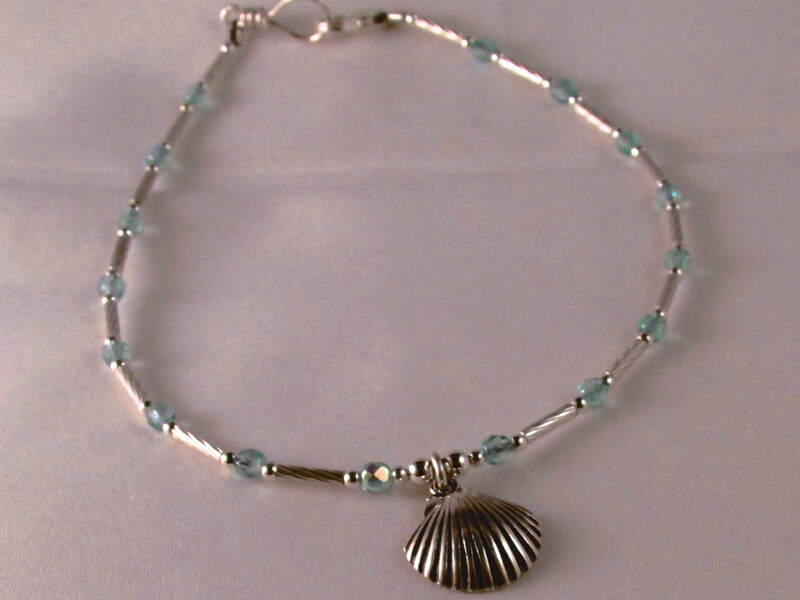 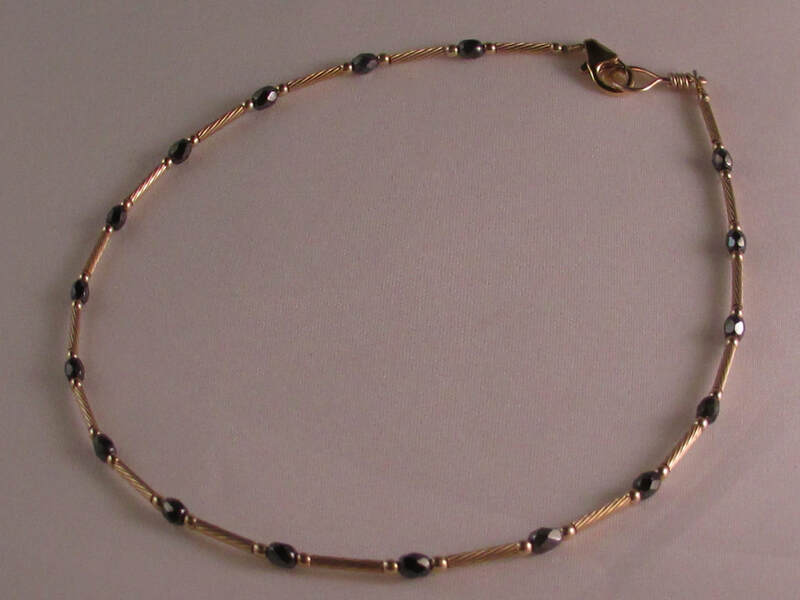 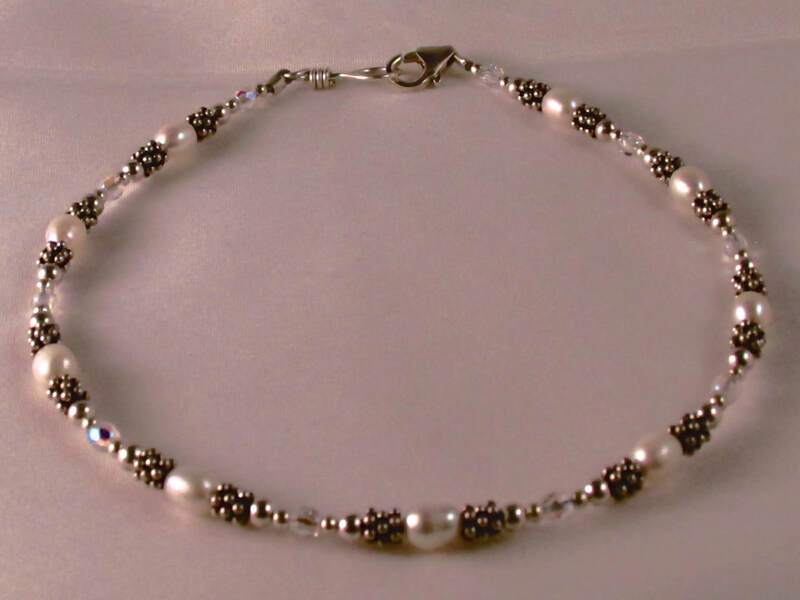 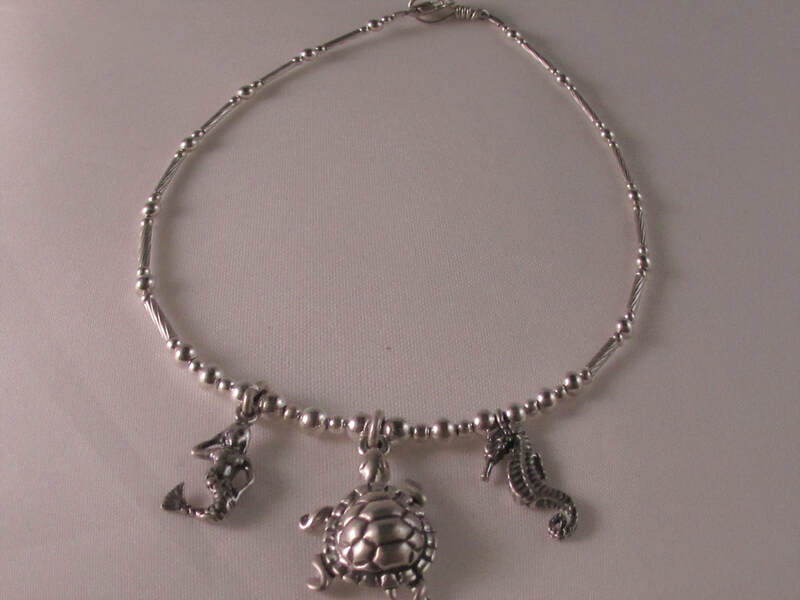 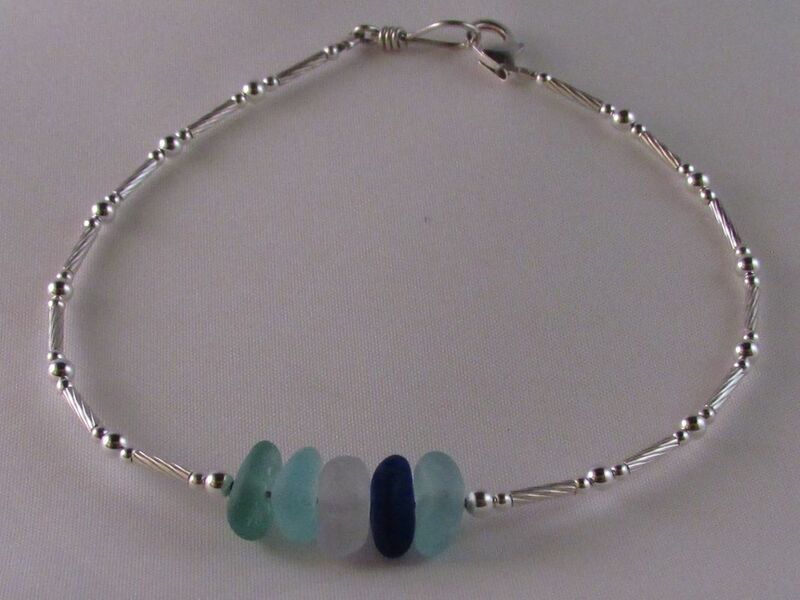 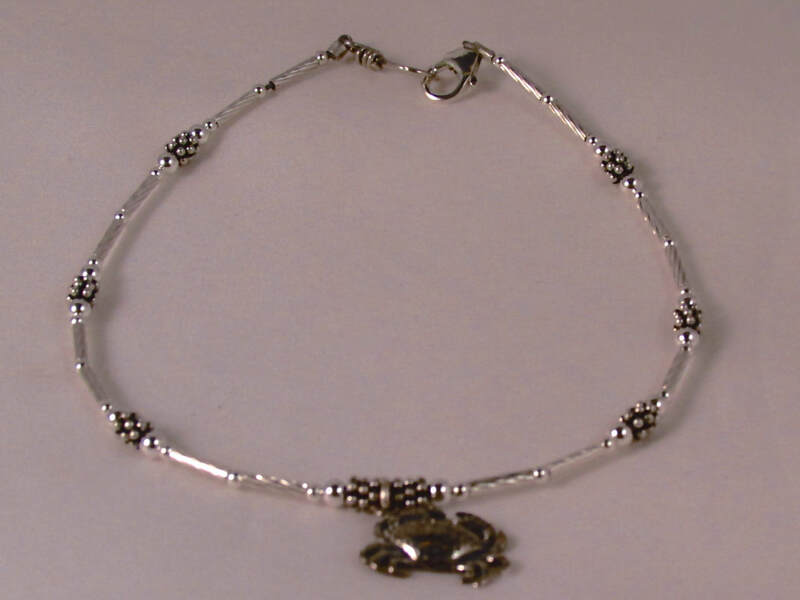 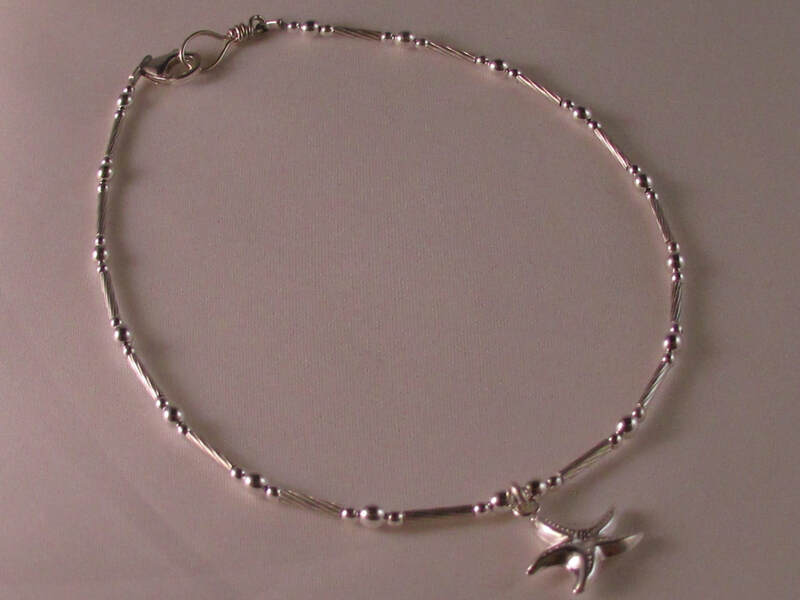 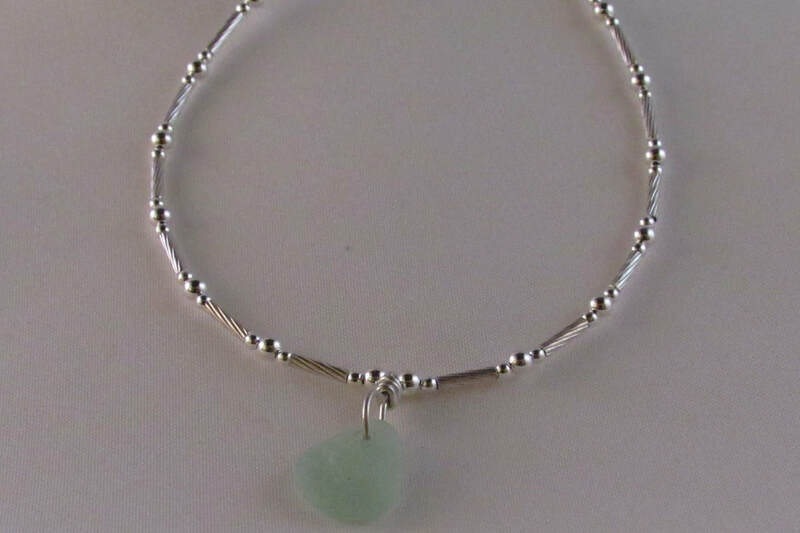 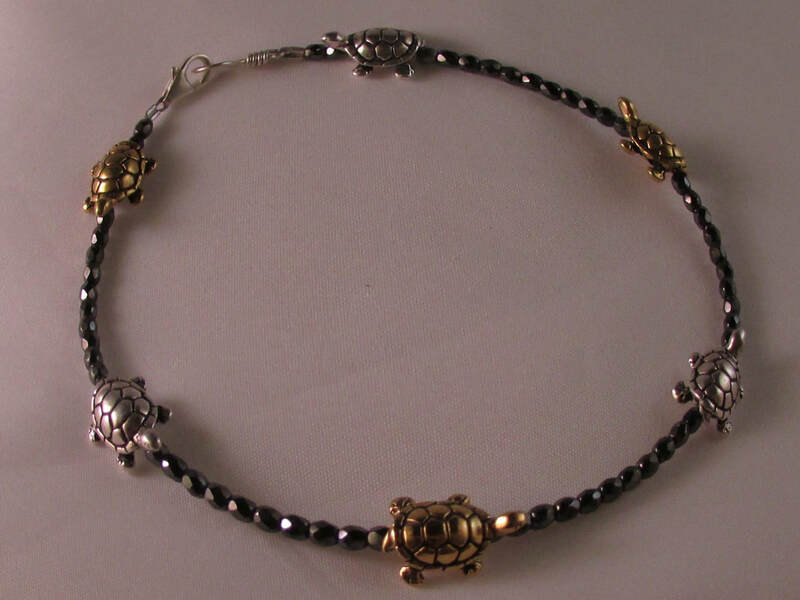 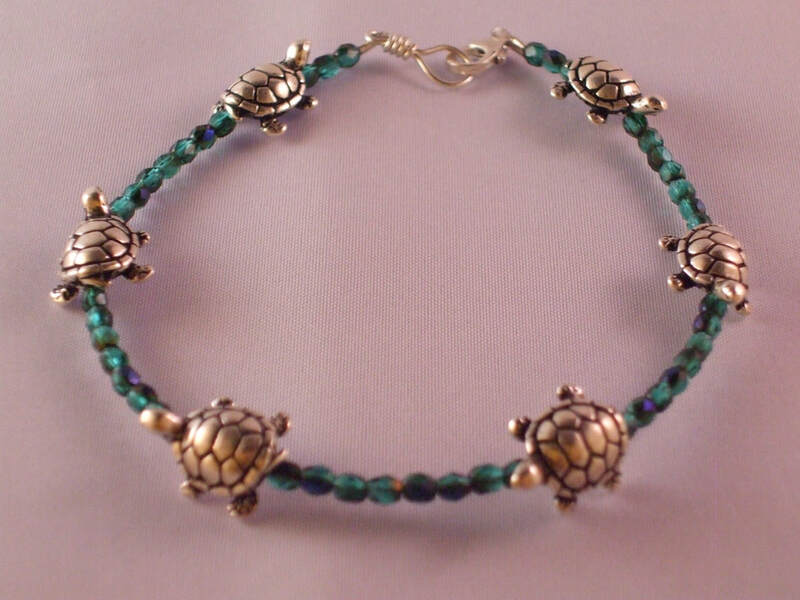 Jewels by the Sea creates over forty different anklet or bracelet designs on 40 pound wire in twenty different sizes. 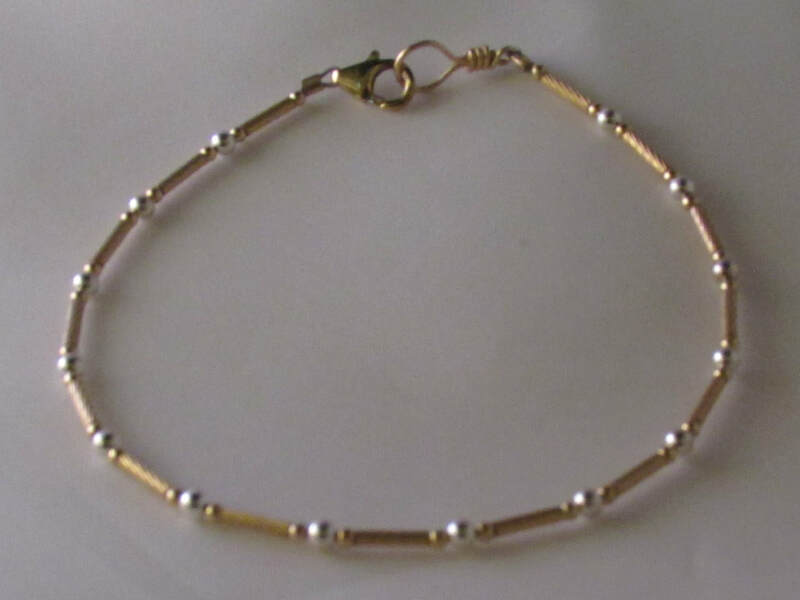 Hold a tape measure tightly around your ankle or wrist-record that number to the nearest 1/4 inch and finally add 1 inch to get your proper size. 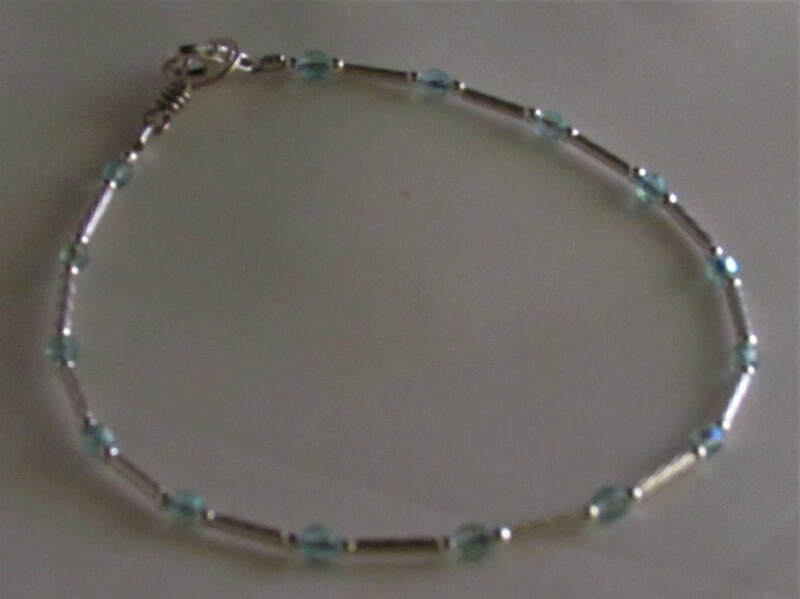 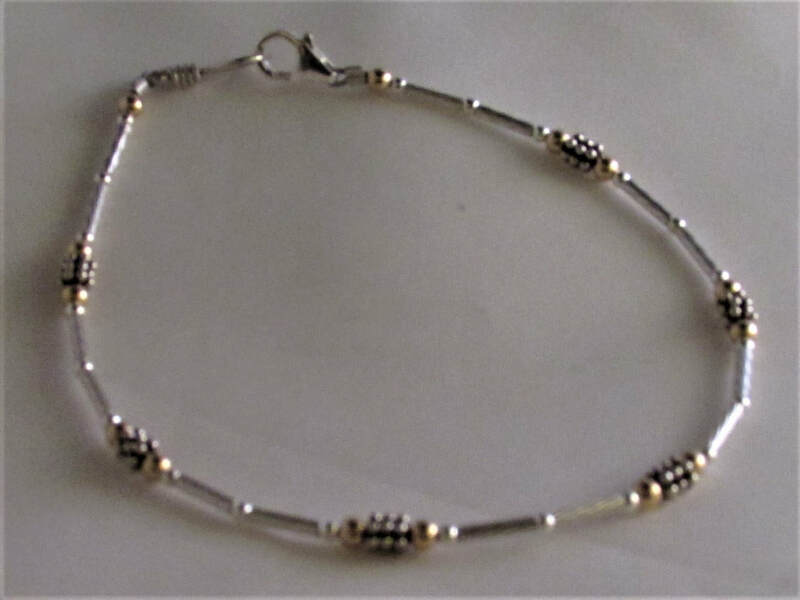 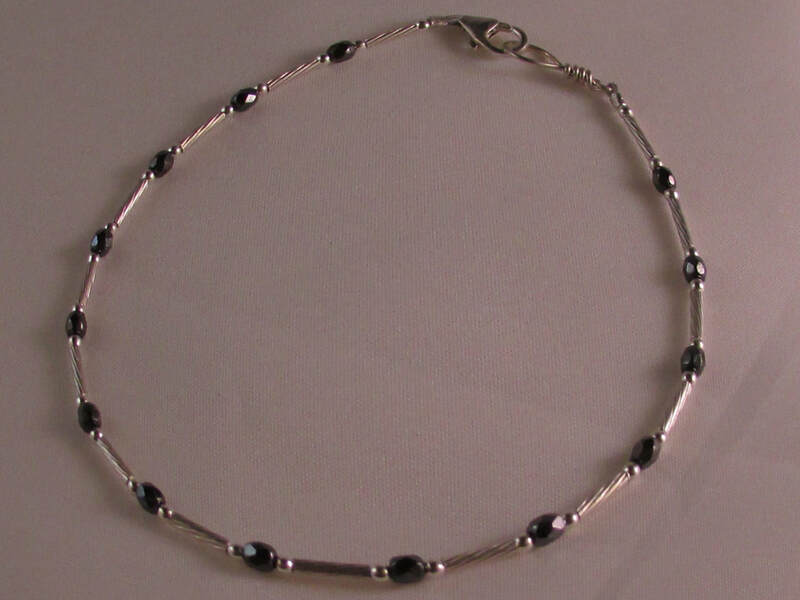 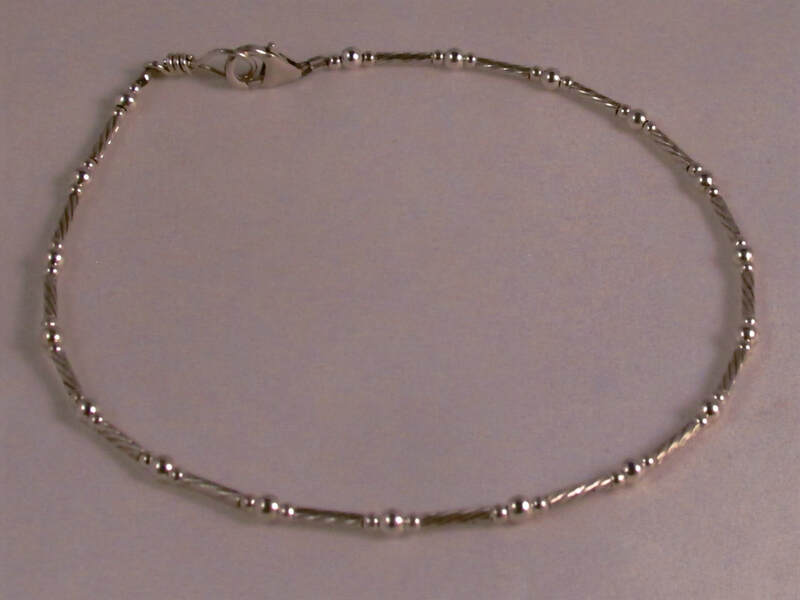 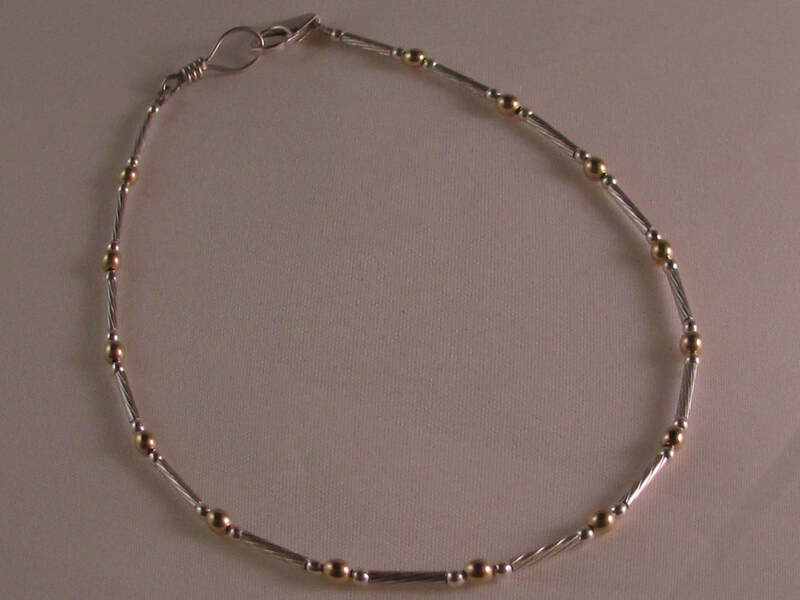 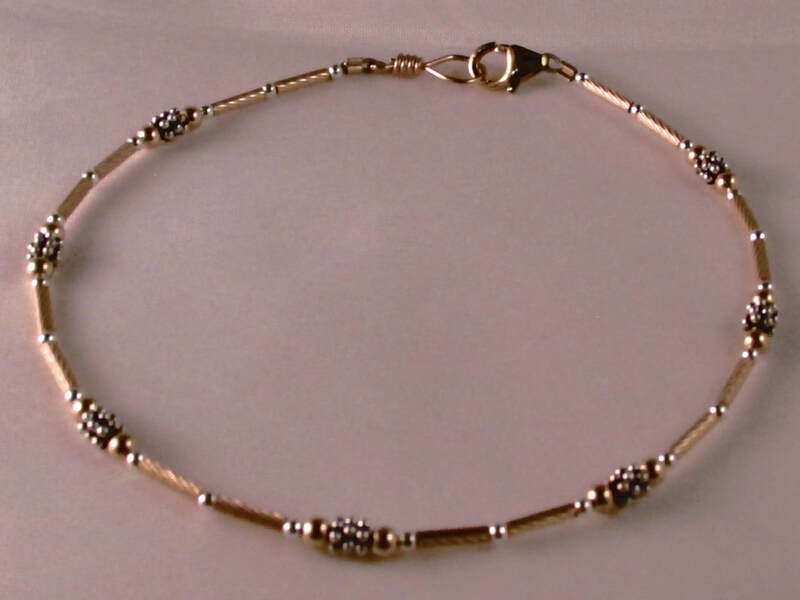 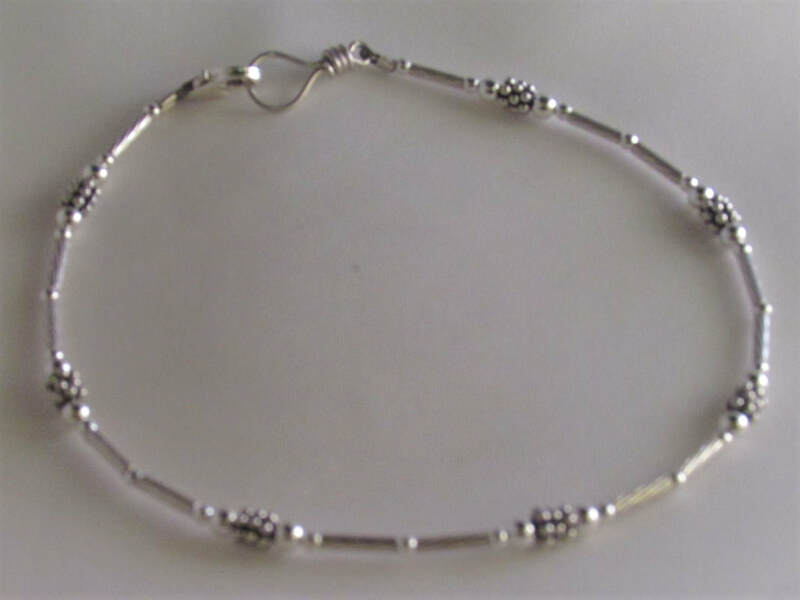 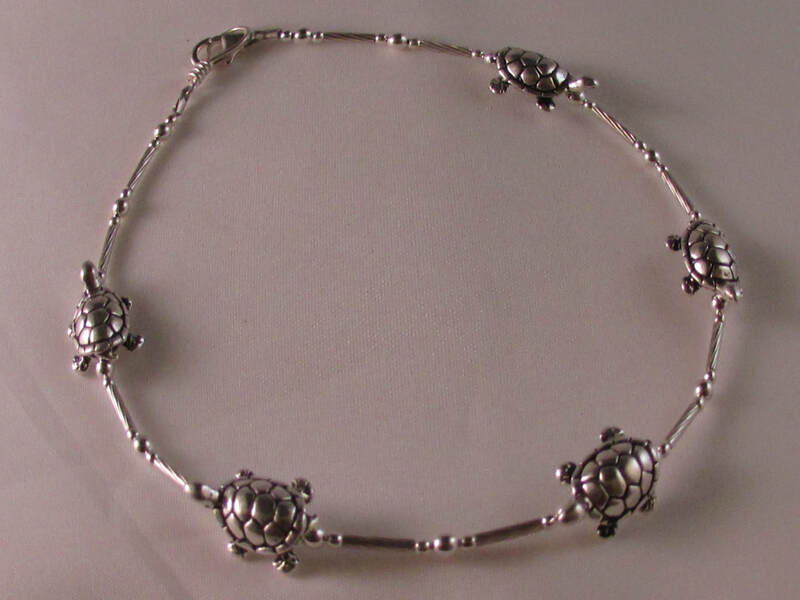 If your anklet measures 9 and 1/4 inches, you would add 1 inch to get 10 and 1/4 inches for your proper size. 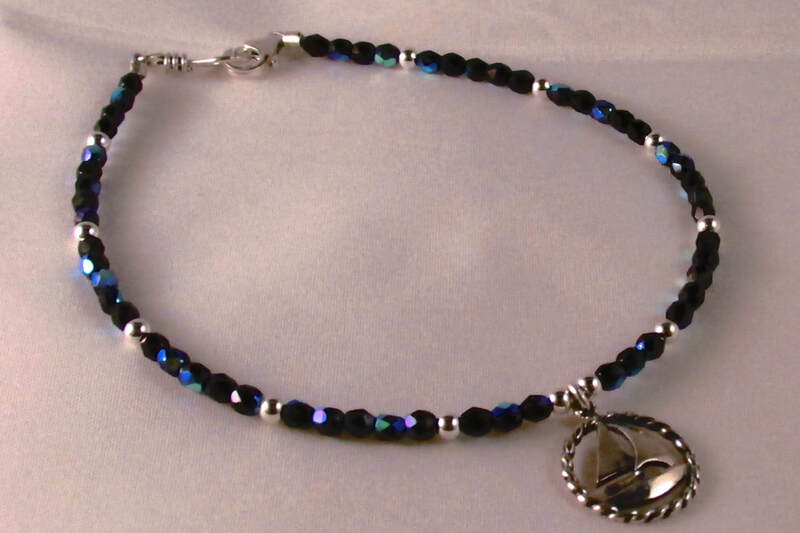 Please be sure to indicate what size/length you wish when you place your order. 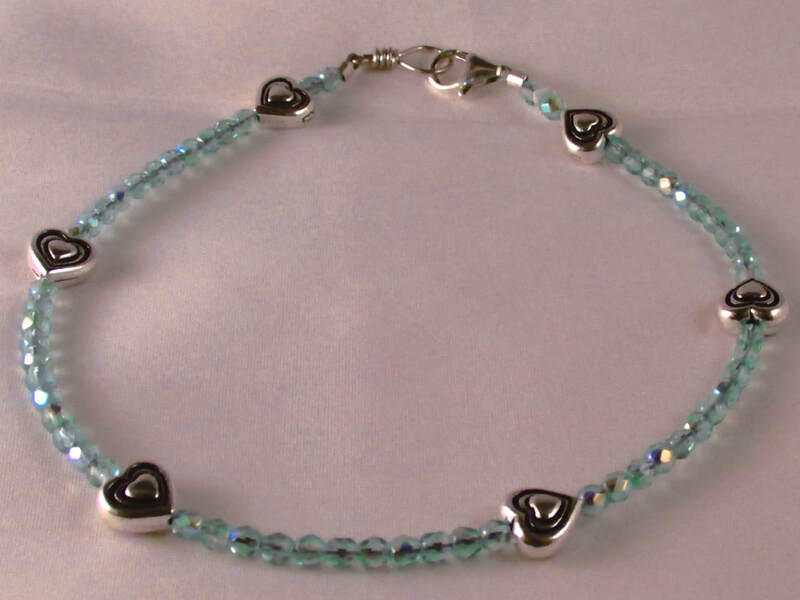 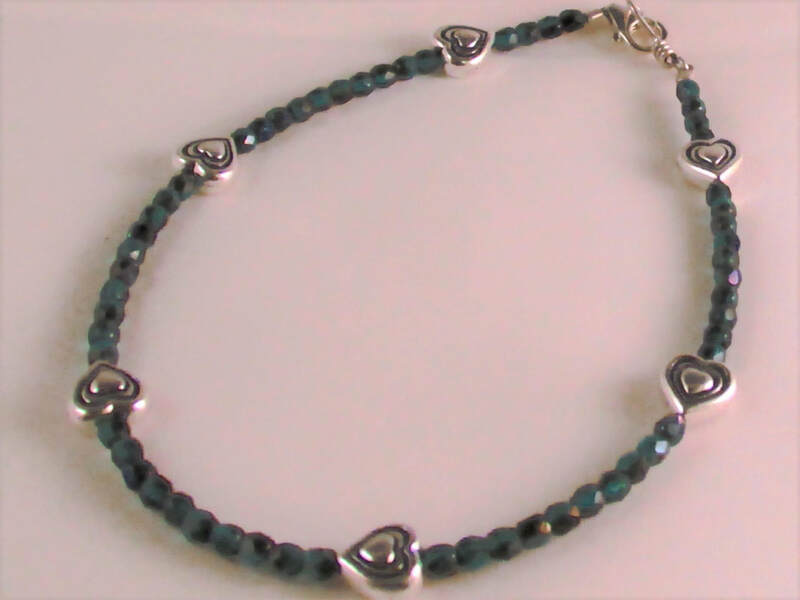 Silvertone pewter hearts with green/blue Czech glass beads and sterling silver findings. 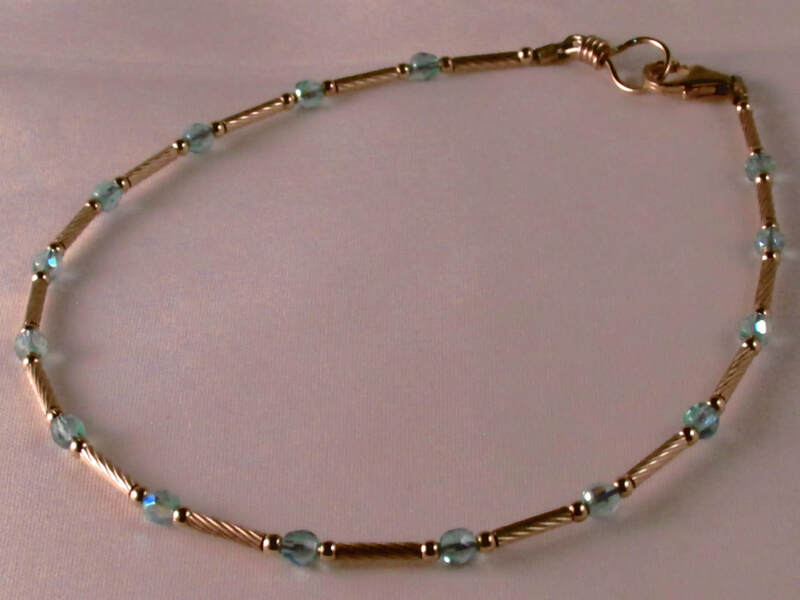 with our clients to create unique jewelry!